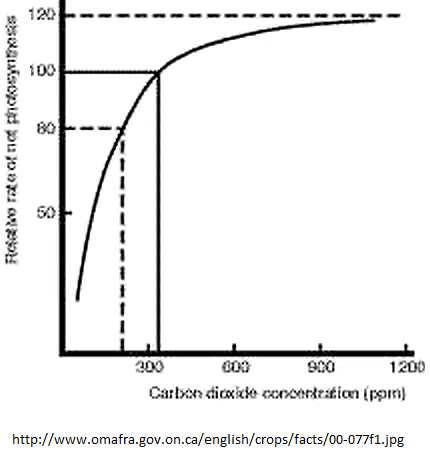 The great bulk of scientific evidence indicates that anthropogenic CO2 is beneficial to both mankind and natural ecosystems, and the warming which results from it is modest and benign. 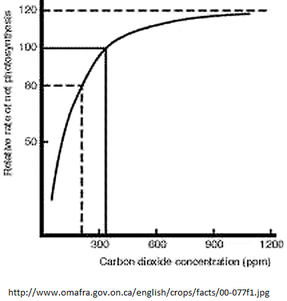 Atmospheric CO2 is the basic building block of plant life, from which plants extract the carbon they need to grow. But at just 0.04% of the dry atmosphere, CO2 is in chronically short supply. 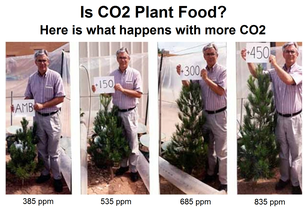 That's why commercial greenhouse operators customarily boost CO2 levels to about three times that level, because it dramatically improves plant growth. Scientific American even called anthropogenic CO2 the “precious air fertilizer,” many years ago. 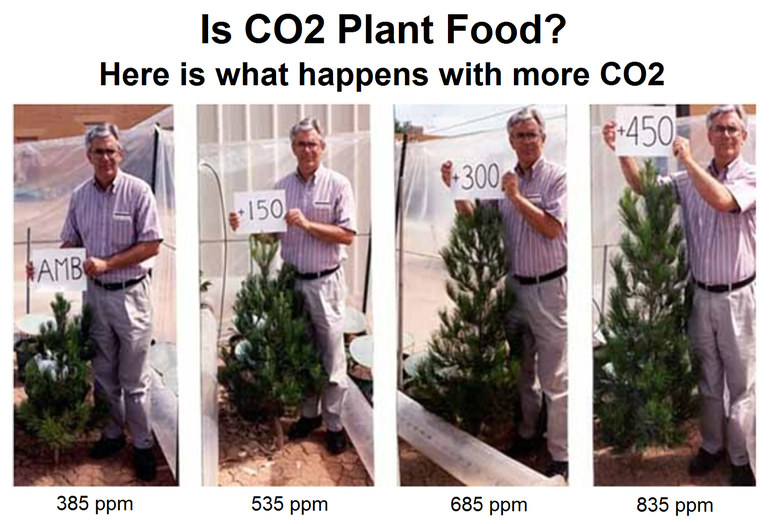 As you can see, the benefits of additional CO2 are dramatic. Moreover, none of the hypothetical adverse effects of that additional CO2 actually seem to be happening. Temperatures are nearly stable at “climate optimum” levels, similar to previous climate optimums. Some scientists have speculated that anthropogenic CO2 could cause an increase in “extreme weather” events, but that hasn't happened, thus far. Since mankind has been driving CO2 levels up steadily for ~70 years, with no detectable increase in extreme weather, it is clear that CO2 doesn't significantly increase extreme weather frequency or severity. The scientific evidence for climate alarmism is so weak that even the Obama Administration has trouble finding reliable climate alarmists to promote The Cause. That should tell you something. 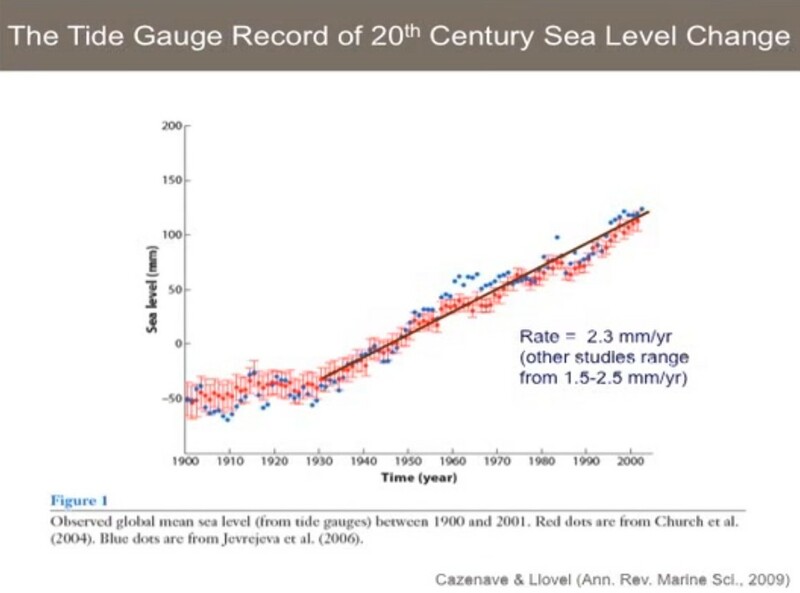 The first thing you should notice in that slide is the most important thing that everyone should know about climate change and se-level: There's been no acceleration (increase in rate of sea-level rise) since before 1930 (85 years ago). The graph is essentially a straight line, from 1930 to present. Since atmospheric GHG (mainly CO2) levels have been increasing substantially and steadily for roughly the last 70+ years, due mostly to fossil fuel use, the lack of acceleration in sea-level rise over that period means that anthropogenic GHG emissions have had no detectable effect on sea-level. The average is skewed by the disproportionate number of northern gauges which are heavily affected by PGR. The median is more meaningful. But even the median of the measured rates of sea-level rise at those tide gauges is only 1.0 mm/year. 79 of those 97 tide gauges have recorded sea-level rise rates of less than 2.3 mm/year. At 30 of those 97 locations, sea-level is falling, rather than rising. Just 18 of the 97 gauges have measured rates of sea-level rise of at least 2.3 mm/year. Look at the graph. Do you see it? All of the tide gauges he graphed showed rates of sea-level rise less than the supposed “average” of 2.3 mm/yr. It's a funny sort of “average” which is larger than any of the actual data points! In fact, the only location which he showed as being close to the supposed “average” of 2.3 mm/yr was Buenos Aires, at 2.25 mm/yr. But even that's not right. NOAA's data shows that sea-level there has really been rising at only 1.57 mm/yr. Over 40% of the supposed sea-level rise there is a product of model-based adjustments, not actual measurements. As Dr. Mitrovica mentioned, and as you can clearly see, w/r/t rate of sea-level rise or fall, the best quality long-term GLOSS-LTT tide gauge records vary considerably. That's due mainly to varying rates of vertical land motion. At some locations, sea-level is falling, and at more locations it is rising. For locations with long, near-continuous records, the range is from about -8 mm/yr to about +7 mm/yr. However, what Dr. Mitrovica failed to mention is that every high-quality, long-term GLOSS-LTT tide gauge record of sea-level shows the same thing w/r/t “acceleration” (change in rate of rise or fall). There's been no significant sustained acceleration in at least 85 years. All that anthropogenic CO2 has caused no increase in the rate of sea-level rise. That's right: every high quality, long-term tide gauge shows that there's been no significant “acceleration” (increase in rate) over the last 85 years, regardless of whether sea-level is rising or falling at that particular location. The lack of acceleration in sea-level rise over the period during which mankind has been driving up GHG levels means that anthropogenic GHG emissions (mainly CO2) have had no detectable effect on sea-level. Jerry Mitrovica made a few other mistakes, as well. Nobody I know of claims that sea-level has been rising steadily at 2 mm/year for thousands of years. Nobody I know of claims that the fact that sea-level change varies dramatically from place to place means that sea-level rise isn't caused by meltwater from ice sheets. Those are both silly nonsense. Nobody with any sense would say such things. "...an interval of just 30 years is the worst that can be chosen because it is half [of a] 60-year cycle"
At 13:45, there's what I would call an obfuscation, not an error. Dr. Mitrovica says that his graph is of sea-level rise rates in mm/year. But that's not really what it is. At the bottom of the slide you can read, "After correction for ice age effects." "The impression has been conveyed to the world's public, media, and policy-makers, that the sea level rise of 18 cm in the past century is an observed quantity and therefore not open to much dispute. What is not widely known is that this quantity is largely the product of modeling, not observation, and thus very much open to dispute, especially as sea level data in many parts of the world fails to live up to the IPCC claims." Finally, at 21:00 Dr. Mitrovica stopped bludgeoning straw-men. But then he made another, very basic error. He conflated satellite altimetry measurements of sea-level with tide-gauge measurements, and said that “in the last decade” the rate of sea-level rise “has already changed.” That's nonsense. For one thing, apparent sea-level changes of a mere decade's duration are notoriously prone to being misleading (e.g., Kwajalein Atoll, in the Marshall Islands). But, more fundamentally, as you've seen, the rate of sea-level change varies considerably from one location to another. In addition to being much less trustworthy and than tide-gauge measurements, satellites can only measure sea-level in the open ocean, away from the shorelines. If you draw a graph which begins with measurements from one place, and ends with measurements from somewhere else, you can create the illusion of either acceleration or deceleration, depending on the locations you chose. So if you conflate satellite altimetry data with tide gauge data, you'll create the illusion of acceleration in rate of sea-level rise, where none actually exists. Someone should have asked Dr. Mitrovica why, if he thinks sea-level rise has already accelerated, that acceleration hasn't affected the tide gauges? It's because the supposed acceleration is an illusion. At 22:50 he gets into fun but sillier stuff: what would happen if the great ice sheets melted entirely? I actually enjoyed that part of his lecture, and his analysis was intellectually interesting, but it has little to do with reality. The remaining great ice sheets cannot and will not melt entirely, within any timescale of interest to mankind. At 24:20 he frets that the entire West Antarctic ice sheet is warming, implying that it could all melt. That's also silly. Warming doesn't necessarily mean melting. If ice warms, it will only melt if it reaches the melting point. Ice is equally stable at -10°C and -20°C. If you look closely at the color key on the bottom of his slide, the high-end of the warming it shows is just 0.25°C. There's no danger that the bulk of the West Antarctic Ice Sheet will melt, and certainly not as a result of a mere few-hundred-year-long anthropogenic pulse in CO2 levels. Comments on it are disabled.